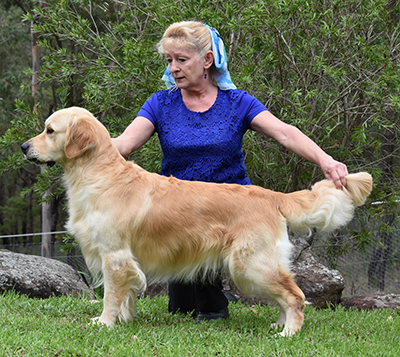 A Champion at 23 months old and a Grand Champion at 4 1/2 yrs old. 2013 Quest finished No. 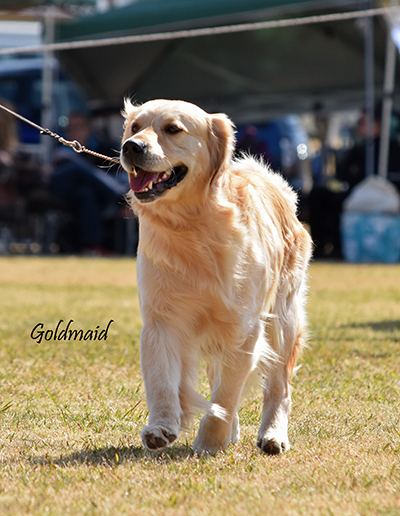 3 Golden Retriever Nationally on the Dogzonline Rising Star Competition. Quest & his litter mates had a 14th Century Scottish theme. “The Saltire” is the Scottish Flag and “The Legend” behind the flag is about the Quest for William Wallace & Robert The Bruce (King of Scotland) to free the Scottish people from the tyranny of the English King.